At Knill James we like to engage & inform our community through our interesting & insightful communications. 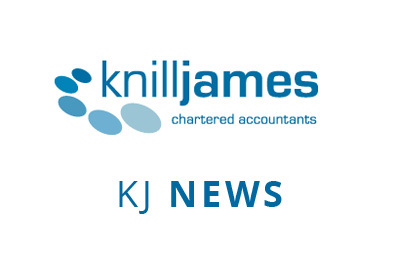 Look no further for your regular updates on the latest Knill James news, Budget announcements, topical news articles, blogs from our expert teams, latest business announcements & specialist sector updates. So to stay in touch, follow our news or blog posts for all the latest happenings within the world of accountancy & finance. Or for more regular updates direct to your inbox, why not sign up to our monthly KJ E-news which offers monthly news on key accountancy & financial issues and useful tax reminder dates. Sign up is FREE and you can unsubscribe at any time.